I am so brave. People in Delhi seem to think you are taking your life in your hands, or at least placing it in a mobile tin can, by taking an autorickshaw alone and after midnight. How did I survive? Superior sitting technique I guess. Anyway, as I said later, if the driver did something weird, when he stopped for a cow or a big pothole I could just jump out and run away. Such rapid movement is usually too much for me, I’ll leave it to professionals such as the Akram Khan Company, who were visiting the Indian capital for the final performance of The Park’s New Festival for Emerging and New Work. Multi-award-winning Akram Khan is one of the UK’s leading choreographers and dancers, who has worked with such varied artists as Sylvie Guillem, Juliette Binoche and Kylie Minogue, and was recently part of the Olympics opening ceremony in London. 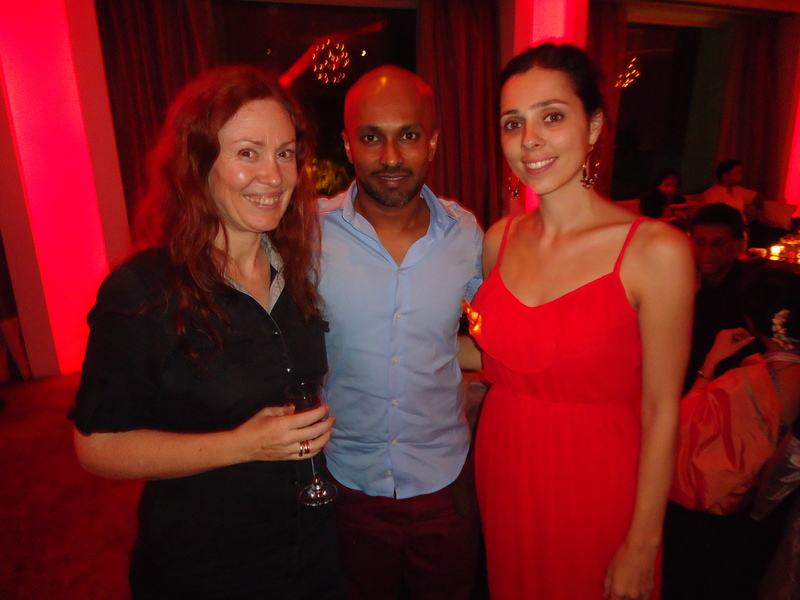 I met the company’s producer, Farooq Chaudhry, last year when the company performed at another arts festival I was involved with, the George Town Festival in Malaysia. Sadly Khan was not with the troupe on that occasion so seeing him dance was a treat I had to wait another year for. The Delhi show was the final date of a six-city Indian tour. Getting into the performance was a bit fraught as there was a scrum outside the Kamani Auditorium akin to a riot outside a jail because there were too many punters and not enough seats. Security told me to go away because I wasn’t on the list, but fortunately someone from the company recognised me and let me through the gate. Effortlessly combining and re-inventing contemporary dance and his classical Kathak roots in Gnosis, a 2010 work that explores the forces of light and darkness via a story from the Mahabharata, Khan performed solo and with Taiwanese dancer choreographer Fang-Yi Sheu, former principal dancer with the Martha Graham Company. Accompanied by five talented musicians – Lucy Railton on cello, Faheen Mazhar, vocals, Kartik Raghunathan, violin, Sanju Sahai, tabla, vocals, and percussionist Bernard Schimpelsberger, there was a vibrant dialogue between sound and visuals that was thrilling to experience. In the first half Khan paid homage to tradition and his commitment to classical Kathak dancing, with the tale of the young Hindu Queen Gandhari, who discovering her future husband is sightless, blindfolds herself forever. Lord Shiva blesses her with 101 children, and her firstborn is Duryodhana, whose pursuit of power leaves colossal destruction in its wake. The second half featured a powerful duet as the dancers examined the bond between mother and child and the choice between good and evil as Duryodhana became a ‘merciless beast’ consumed by ambition. I had a great week in Delhi, largely free of colossal destruction (thank you Anna and Inga for your hospitality) and with the bonus of some inspiring dance. Also thanks to DJ who introduced me to the Raj Kachori, a rather extraordinary creation at Haldiram’s, home of fine Indian street foods served in the hygienic confines of an air-conditioned restaurant. The Raj Kachori is a fried bread sphere (or puri) filled with chickpeas and crispy bits, topped up with white yoghurt and chutneys in stripes of green (coriander) and orange (tamarind), to remind one of the Indian flag. It’s sweet and salty and creamy and crunchy with a touch of nationalism all at the same time and rather good. As the Akram Khan Company was staying at The Park Hotel, I became well acquainted with its buffet. Generally I spurn the buffet, but this one had great vegetarian options and chefs on hand to whiz up curries of your choice. One night I was invited to the nightclub there which sounded like an invitation to Acne, but the name of this extremely popular venue is actually the rather less evocative Agni. The Park’s New Festival sponsors include Park Hotels with support from the British Council. The festival was curated by Ranvir Shah of the Prakriti Foundation.